The BBC will continue to show British Athletics until 2020 after extending their broadcasting rights agreement. 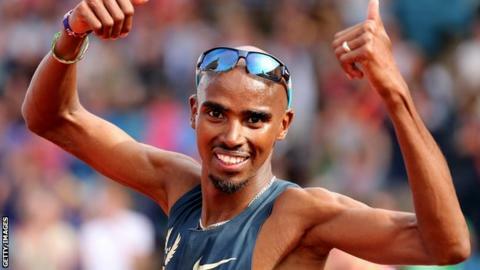 The deal ensures events such as the Anniversary Games and the British Championships will be shown on free-to-air television. This will provide the sport a platform in the years building up to and beyond the 2017 World Championships in London. "We're very proud to continue our association with British Athletics," BBC Sport director Barbara Slater said. "This deal enables BBC Sport to bring the best of top-flight UK competition to audiences complementing our coverage of the 2014 Commonwealth Games, the 2016 Olympics in Rio and the 2017 World Athletics Championships in London, making the BBC the place for audiences to follow the full story of the UK's top track and field athletes right through to 2020." The extension to the current broadcast rights agreement was announced by UK Athletics chief executive officer Niels de Vos, who also outlined its vision to win more medals, stage world-class events, create an athletic nation and stage the best ever World Championships. De Vos said: "British Athletics is absolutely delighted with this new deal with the BBC. It will ensure that our elite events will be broadcast to the widest possible audience over the next seven years until at least 2020."